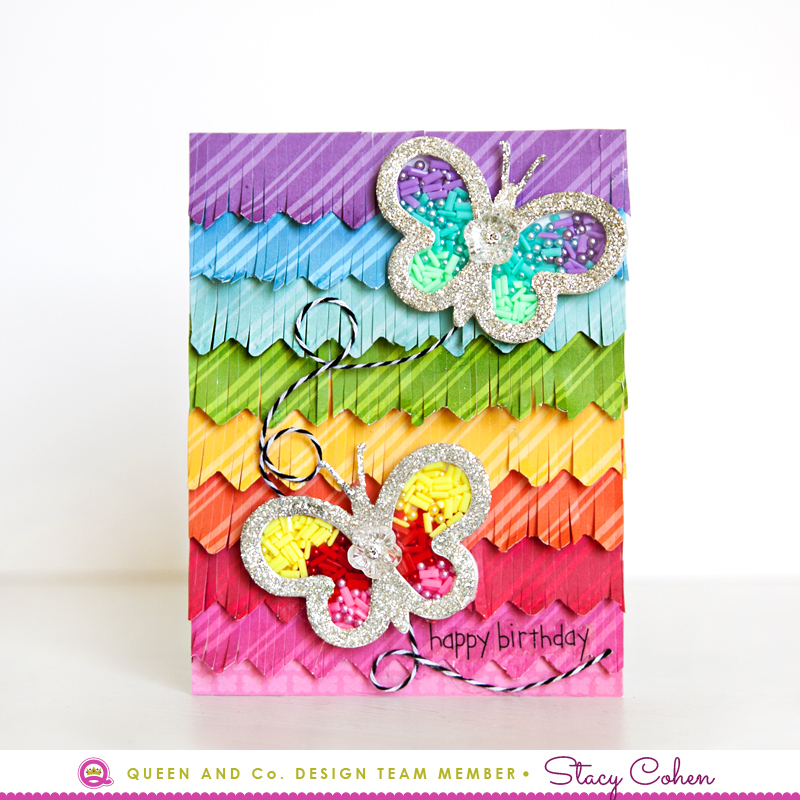 Here's a little card I made with Queen & Co.'s Butterflies Shaker kit. 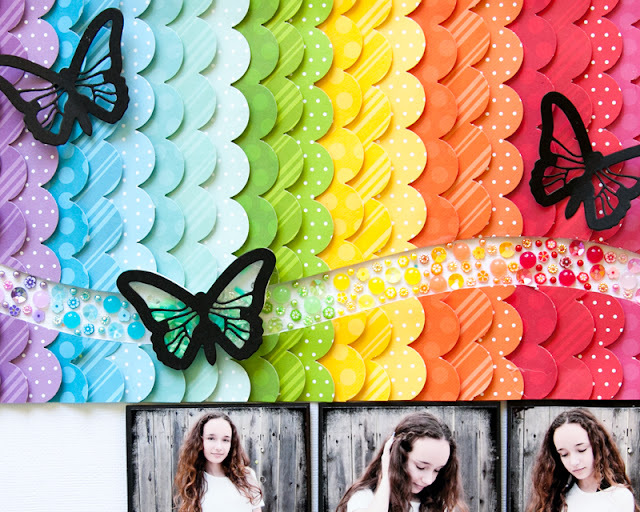 Queen and Co. Supplies: Simple Stripes Mat Stacks, Butterflies Shaker Kit, Candy Sprinkles, Posies, Pearlies, Flower Buttons, and twine. Hi everyone! Long time no-see. I'm going to try to get back to semi-regular posting here. I have a at least 100 projects from the past few years I have yet to share. Here's a layout I made with Queen & Co projects. 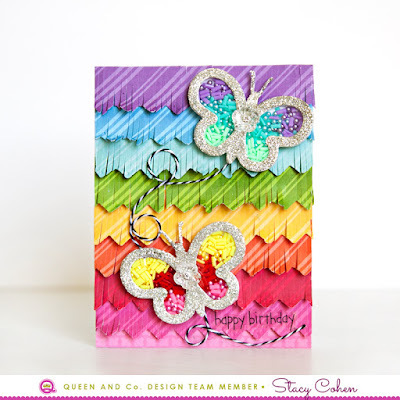 I used products from the new Butterflies Shaker Kit (which includes both foam shaker shapes and coordinating dies) to create a layout and a card. I’m quite enamored with colorful rainbow pages, so when I saw the new Delightful Dots and Simple Stripes Mat Stacks I got a little giddy. For the layout I cut strips of the rainbow colored papers and used a scalloped edger punch along the edge of each. I then adhered the strips side-by-side to a piece of cardstock, using 3D foam adhesive to pop up the scallops. I cut a curve along the strips and separated the two pieces, then adhered them to a 12” x 12” sheet of cardstock leaving about a half inch space between the two sections. I filled the space with coordinating colors of Queen & Co. bling and toppings. I filled a butterfly shaker with some of the fabulous new toppings. 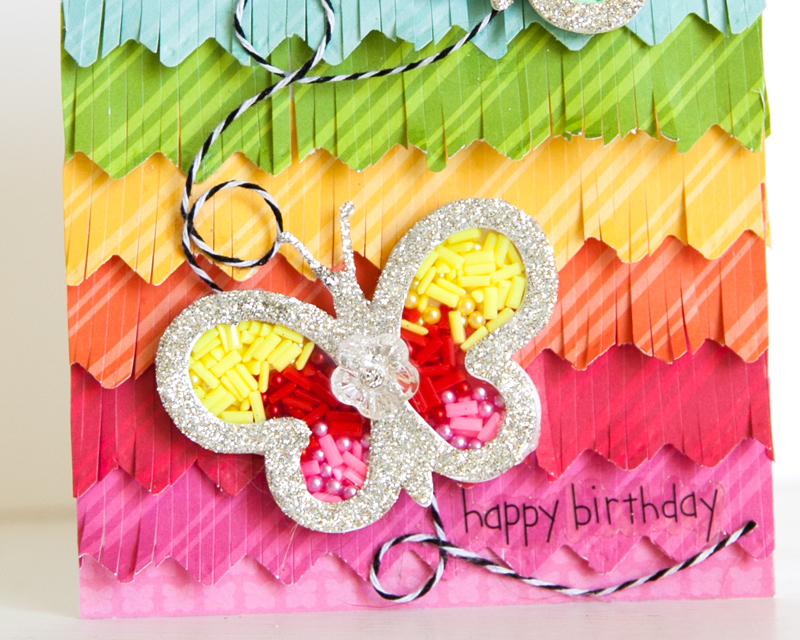 I also added a few die-cut butterflies as page accents. Supplies: Butterflies Shaker Kit, Delightful Dots and Simple Stripes Mat Stacks, Candy Sprinkles, Posies, Tiny Bubbles, Pearlies, Opals, Petite Posies, Flower Buttons, and Sparklers. 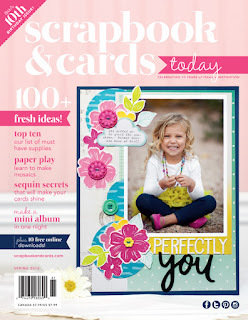 The winner of last weekend's giveaway for the Scrapbook and Cards Today Spring Issue is . . . Faygie Fellig! Congrats, Faygie! I will try and contact to you to get your mailing address. Or feel free to email it to me at sjbarancik@aol.com. 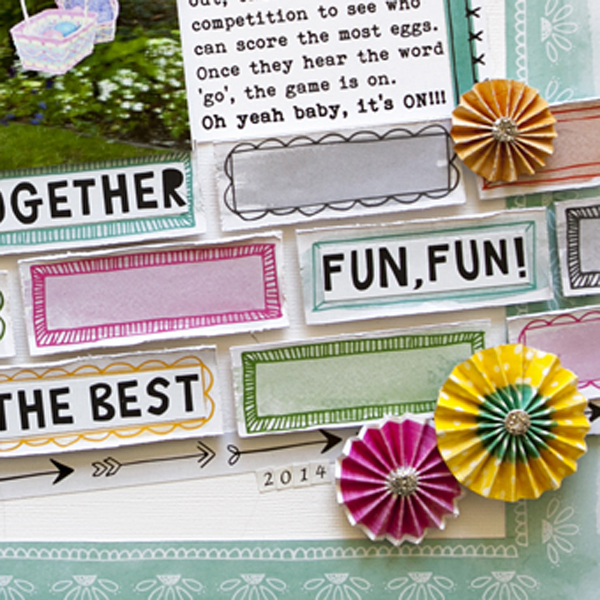 National Scrapbook Day with a tutorial AND a giveaway!! Well helloooooooooooooooo little neglected blog! Remember me? Thought I abandoned you, huh? Hopefully I can get back to posting again occasionally. 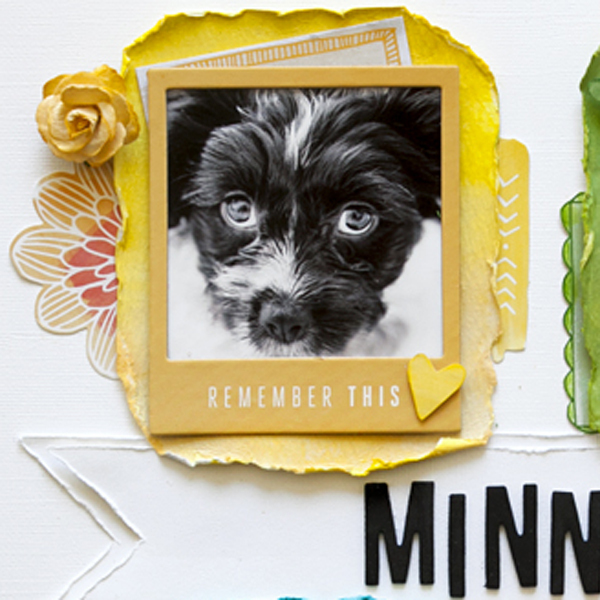 Today is National Scrapbook Day, and there's some fun stuff going on over on the Scrapbook and Cards Today blog. Head on over there for inspiration, challenges, and prizes!! The hourly posts started at 9:00 am this morning and will continue each hour until 9:00 pm tonight. The theme of the day is "Inspired By". Each of the Design Team member chose a layout from the SCT Spring issue that inspired them. 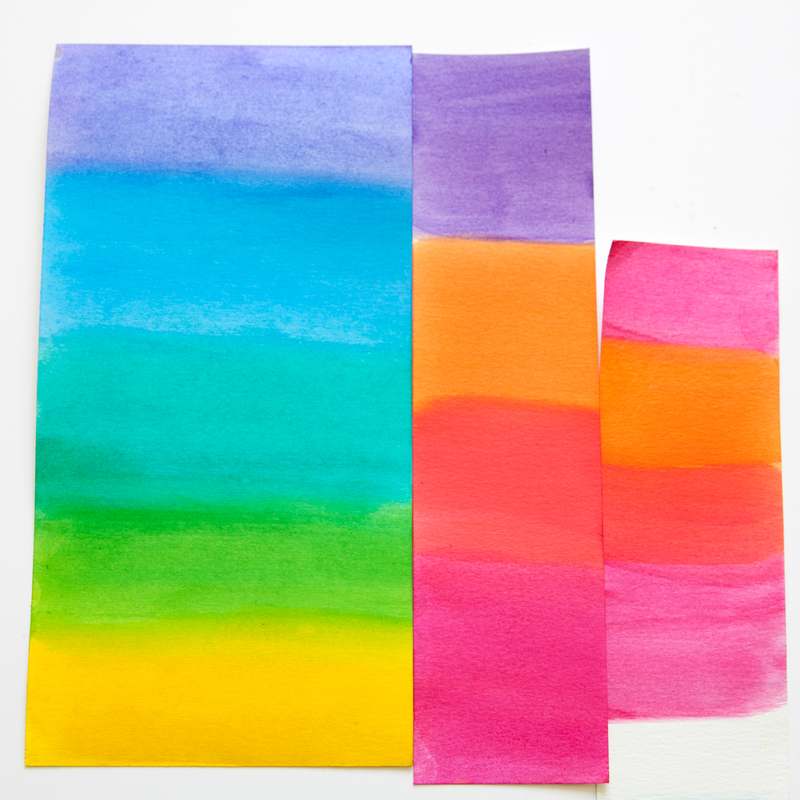 I was inspired by Paige Evans' "Rome" layout on page 67 of the Spring issue. You can see Paige's beautiful layout in this post. To make the circles, I first painted rows of rainbow colors on watercolor paper. I tried to get them in order of how I was going to place them on the page so that could get some 2-toned circles for a slight ombre effect. Once the paper was dry, I die-cut the circles using stitched circle steel dies. A circle cutter or circle punches would also work. 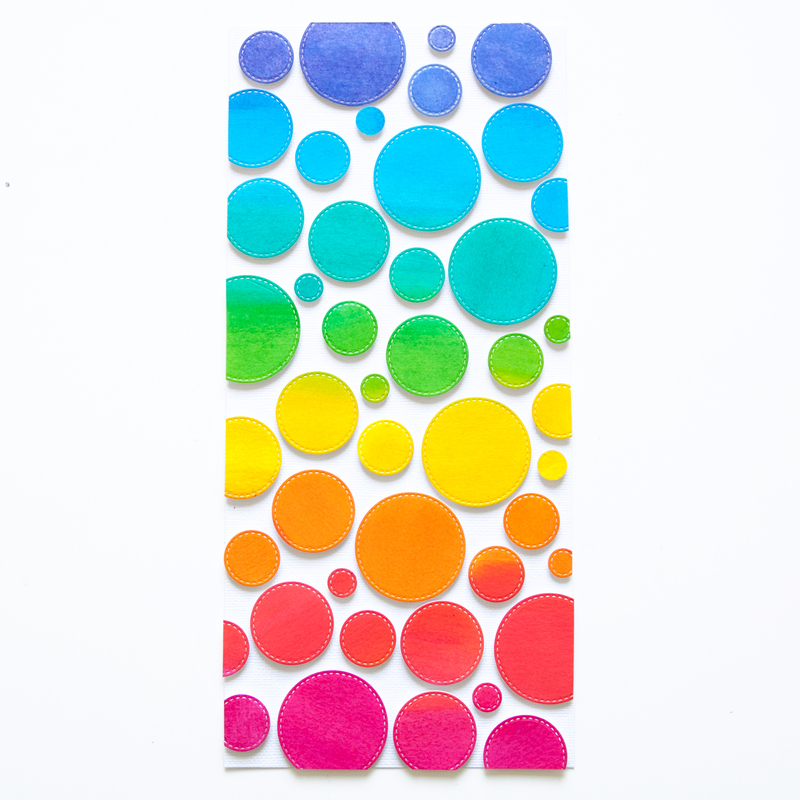 I cut a strip of white cardstock about 5.5 inches wide by 12 inches tall, then I added the circles with 3D foam adhesive. I cut off the edges of the circles to get straight lines on both sides. I then adhered the circle strip to my background cardstock and I was ready to complete my page. 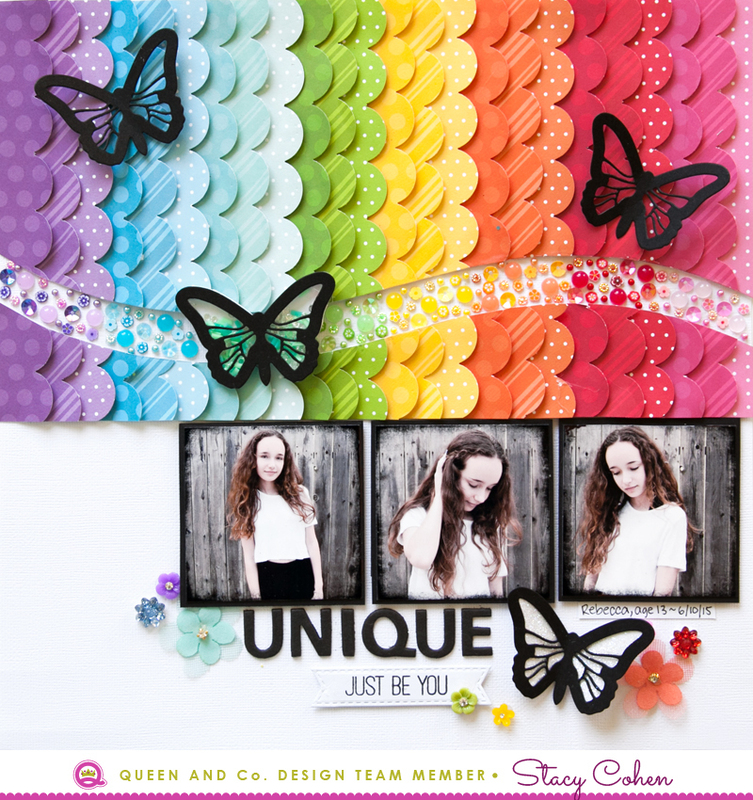 Be sure to check out all the inspiring layouts, challenges and giveaways on the SCT blog today! 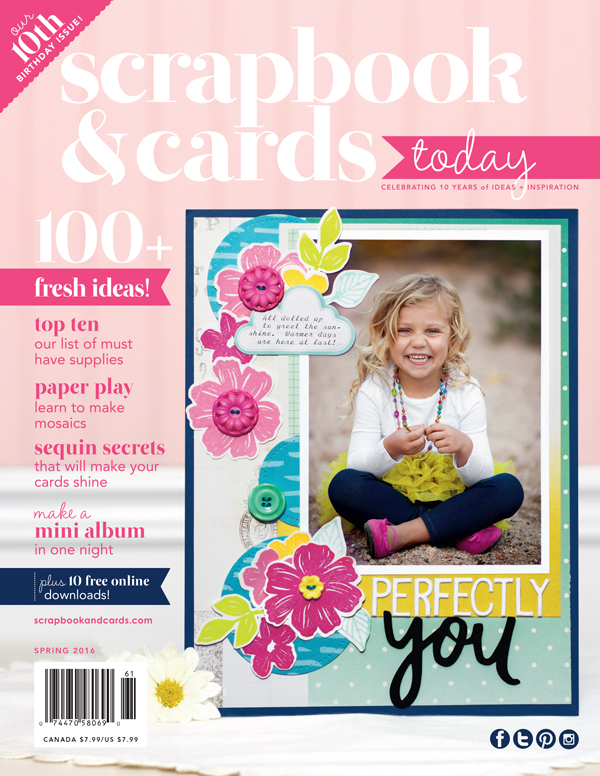 Speaking of GIVEAWAYS, would you like to win a copy of the Spring 2016 issue of Scrapbook and Cards Today? To be entered to win, please leave a comment here before the end of the day tomorrow (Sunday). Sorry, North American winners only. 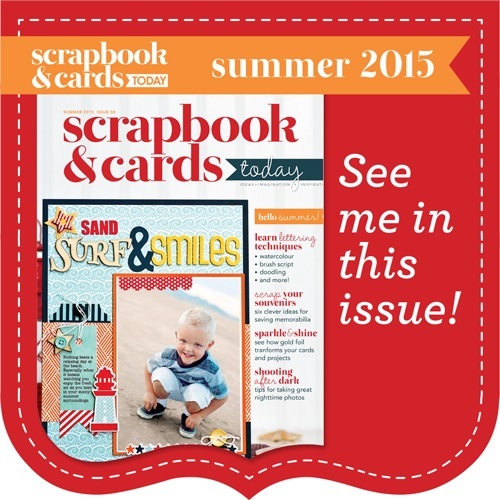 The Summer issue of Scrapbook & Cards Today is out, and it's fabulous! It's chock full of beautiful and inspiring projects. You can download a copy or order a subscription to the magazine on the Scrapbook & Cards Today website. Be sure and check it out! 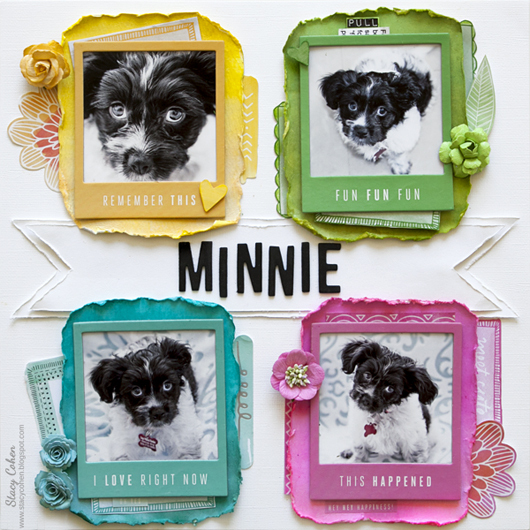 Here's another layout I made with the My Creative Scrapbook main kit for April. For the past year we've been fostering rescue dogs (after they get rescued from the shelter and until they get adopted by their "forever families"). This is Minnie, a sweet little puppy who we fostered for about 4 weeks until she was adopted by a wonderful and loving forever family. She definitely made a huge imprint on my heart, so I wanted to memorialize her memory in a scrapbook page. There's a hidden journaling tab at the top right that tells the story about her. She was just as sweet as she looks in these pictures! Hi everyone! 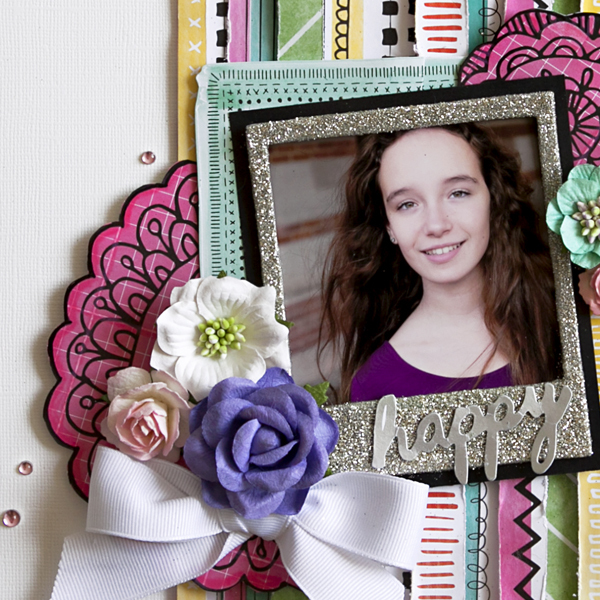 Here is one of the layouts I created with the My Creative Scrapbook Main Kit for April. 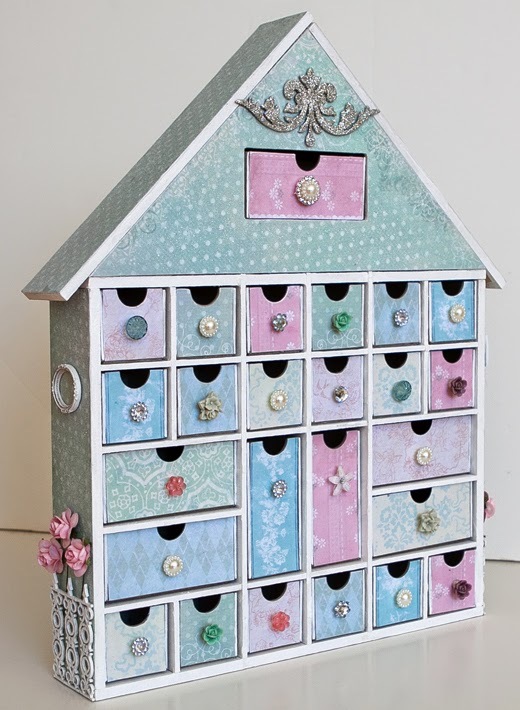 You can buy this kit and/or any of the other beautiful monthly kits here: My Creative Scrapbook. I'll be posting the rest of my kit layouts and a tutorial in the coming days! Knock, knock, knock . . . is this thing on? Honestly, it's been so long since I've blogged that I sort of forgot how to work this blog thingie. I'll figure it out as a I go along. 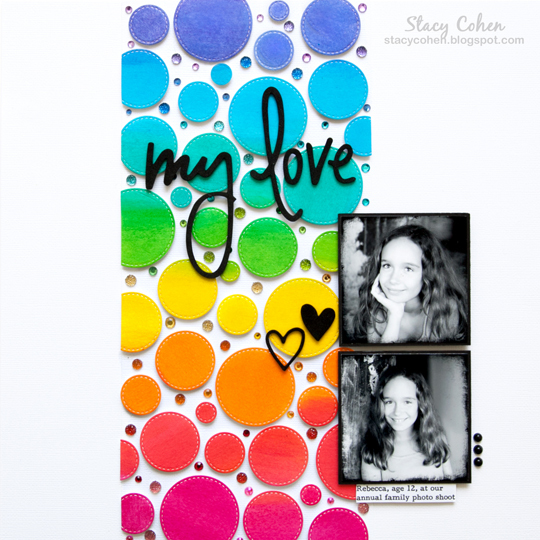 You can check out the My Creative Scrapbook blog for more sneak peaks. The full reveal will be on April 6th! I used the stamps the dies to create the frames, tags, folded banner, and label. 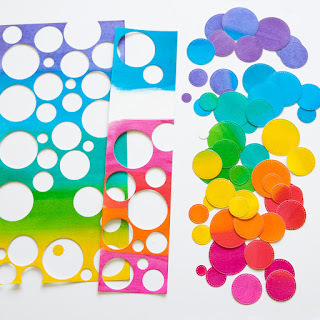 To make the colorful background, I painted watercolor paper with a mix of Gelatos, watercolor pencils, watercolor crayons, and watercolor paint, then I punched circles from the colorful swatches. For a little sparkle, I added glitter to some of the circles. I couldn't let the leftover watercolor and glitter circles go to waste, so I used them on a card. I used the picture frame and "hello" stamps from the Picture Perfect stamp set, and the banner die from the Folded Banner die set. Thank you, Technique Tuesday, for letting me play with your adorable stamps and dies! Happy summer, everyone! I've been thoroughly enjoying these lazy days of summer . . . sleeping in, spending more time with my kiddos, hanging out at the pool, and just relaxing. 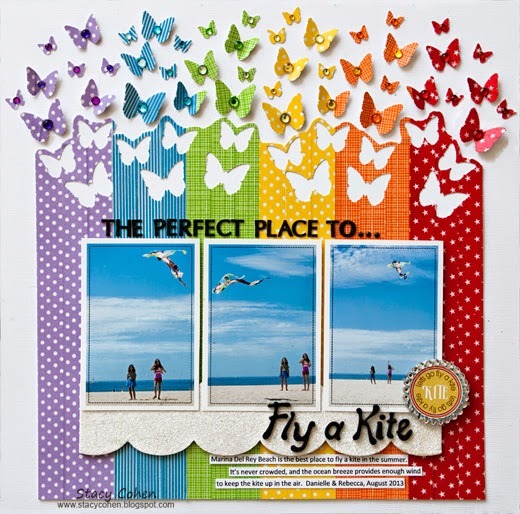 Here's a layout I created that was published in the current Summer 2014 issue of Scrapbook & Cards Today. Scrapbook & Cards Today is a gorgeous publication AND one of the last remaining paper scrapbook magazines, so it's an honor to be included. 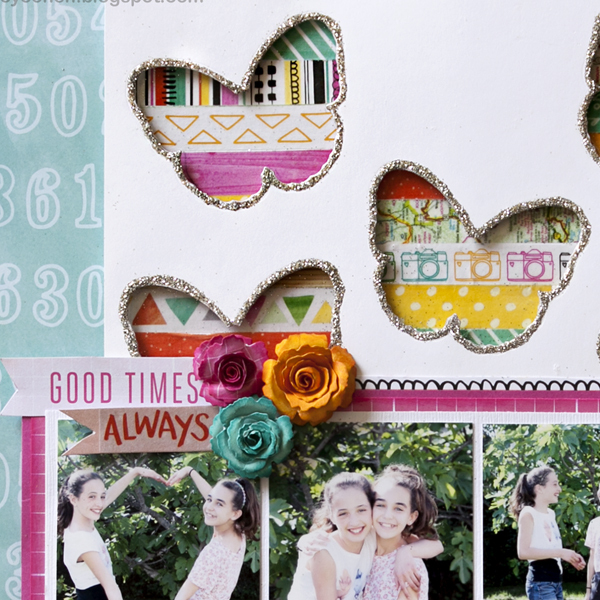 If this layout with the escaping butterflies looks familiar, it's because it's a slight variation of a layout I created in February 2014 called "Remember This", which has been widely circulated around the internet and frequently copied (usually with credit given to me, but sometimes without credit given . . . *sigh*). I know everyone is anxious to find out the two winners of the Creative Spaces Vol. 3 special issue AND the Kaisercraft House of Drawers (one assembled and one not assembled). So without further ado, the winners of the random drawing are . . .
Congrats ladies! I will try and contact you through your links to get your full mailing information, but if I'm not able to reach you, please contact me (email on the right hand bar). Thanks for playing, everyone! Creative Spaces Vol. 3 Blog Hop, plus TWO GIVEAWAYS! 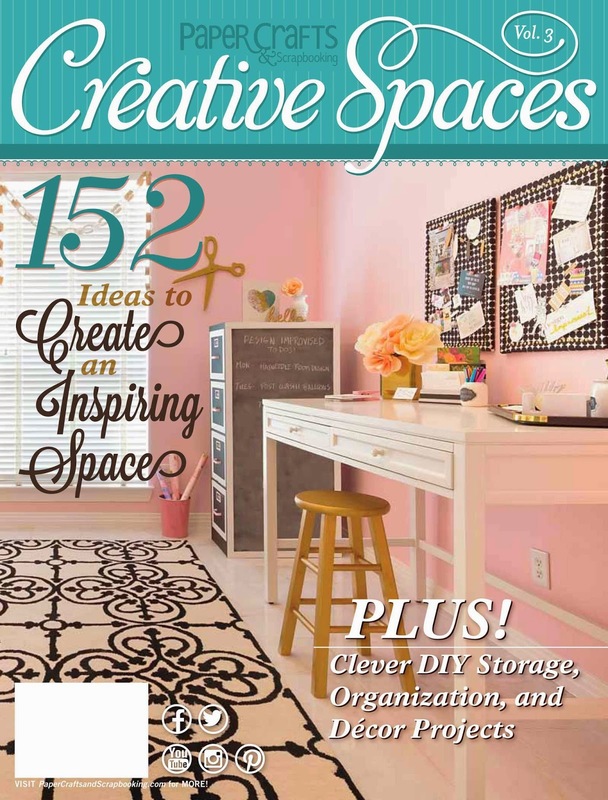 The latest edition of Creative Spaces is out! You can purchase a copy of the issue here: http://www.papercraftsmag.com/articles/Creative-Spaces--Vol--3. 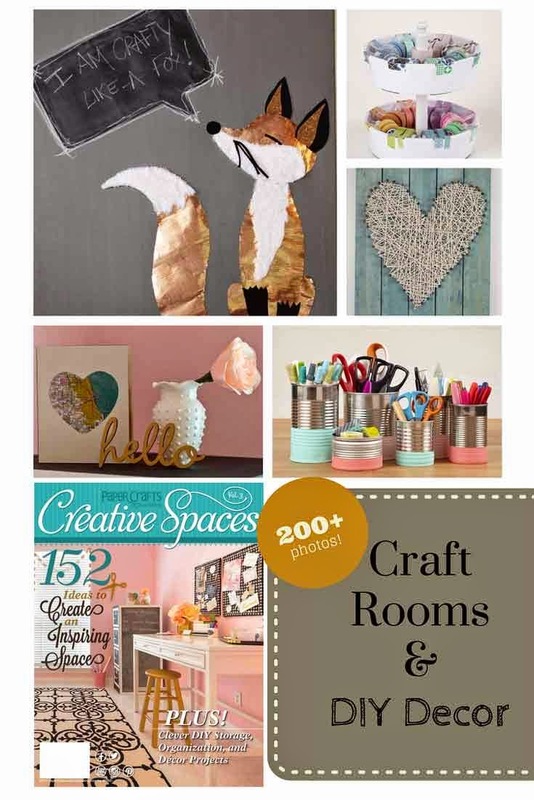 Get ready to drool over all the gorgeous craft spaces! GIVEAWAY: The generous gals at Paper Crafts & Scrapbooking are allowing me to give away prizes to TWO of my blog readers. One winner will get the assembled version of the Kaisercraft House of Drawers (the plain, undecorated version shown two photos above, not my altered version immediately above), and the other winner will receive the unassembled version that needs to be constructed. BOTH winners will also receive a copy of the issue! To be entered to win, please leave a comment here on this post before Sunday, June 28th. Sorry, the prizes can only be shipped to US addresses. 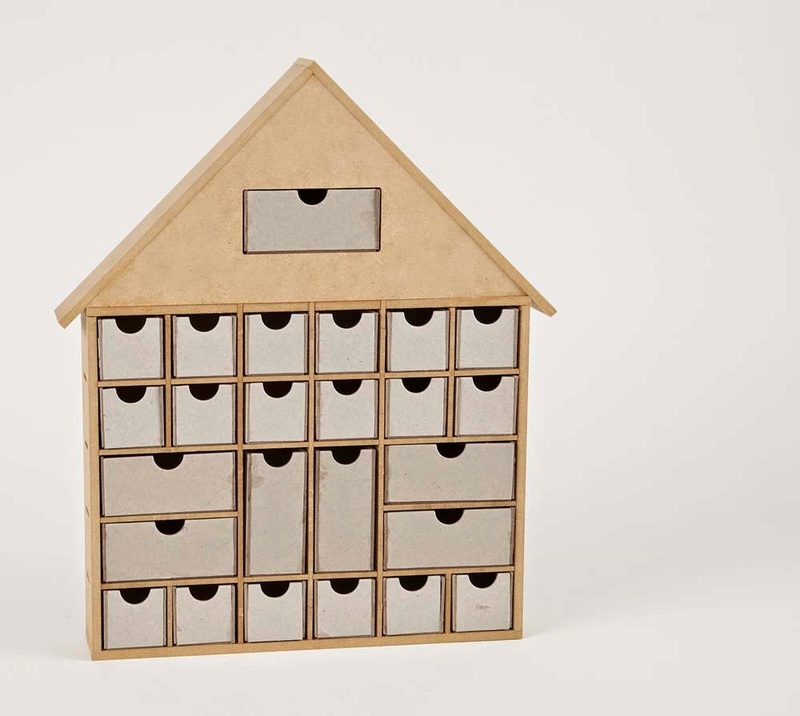 Don't forget to leave a comment here for a chance to win either the assembled or unassembled Kaisercraft House of Drawers, plus a copy of the new Creative Spaces Vol. 3 issue (US residents only). © Stacy Cohen 2008-2016. All images on this site are the Copyright of Stacy Cohen. Feel free to post a link to my blog, but please do not post any of my images elsewhere without my prior permission. Thank you!